Clovis, age 98 was born May 10, 1907 at Pine Forest, Hopkins County, Texas, to Dennis and Robbie (Minter) Robinson. She was their second child, but their first daughter. Clovis was a beautiful, smart and lovable child. 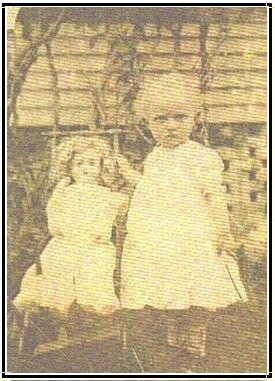 Her brother, Minter Hugh, died in 1908, but another brother, Donald was born in 1909; and in the years that followed, siblings Eva, Fannie Edna and Dennis Jack came along. Clovis was the 'big sister' and the leader of the group. Clovis adored the younger children, and was always attentive to their advancement. In turn, they looked up to her for guidance and understanding. In her youth, Clovis attended public school at Pine Forest. She was a good student, and she was promoted past all of the grades that were offered. In addition, she took private piano lessons, and speech expression from her cousin, Miss Grace Minter. 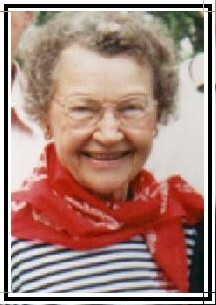 For her high school senior year, she went to Sulphur Springs, boarding with Cousin Margie (Penn) Minter, widow of the late Dr. Guy Z. Minter. Clovis graduated with the Sulphur Springs High School Class of 1925. The graduation program was a thrill to all in attendance, including the living members of Clovis's Robinson family. A highlight of the evening was an appearance by a quartet of graduate boys who sang a comical song which we had not heard before, entitled "It ain’t gonna rain no more". Clovis returned to the farm at Pine Forest, and helped out with the chores during the next few months. Then she registered to attend school at East Texas State Teachers College (Now a branch of Texas A & M Univ.) during the fall and spring semesters. 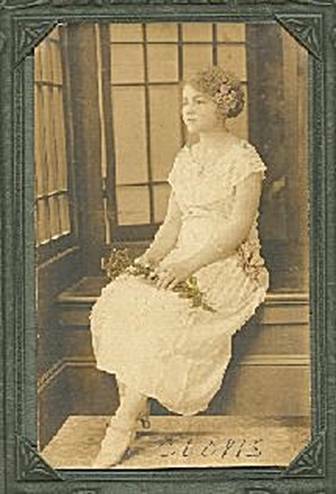 In the summer of 1926 Clovis moved to Wichita Falls, Texas, to live at the home of her Aunt and Uncle, Fannie Sue (Minter) and Joe B. Stokes, and to find a job in that city. Subsequently, she did get a position in the district offices of Humble Oil & Refining Company. The experience there was interesting, pleasant and rewarding. She made friends, and she enjoyed social activities. Clovis met a young petroleum geologist, James Ford Gibbs, who was employed by Panhandle Refining Company in that city, and she found him interesting. He courted her, and they became engaged. The wedding date was set, plans were made, and they were married in a ceremony at the First Methodist Church on October 5, 1929. It was a beautiful and moving service, and afterwards the couple and guests met for the reception at the home of the Stokes family where the bride had resided. It was a gala occasion, with friends and family members of both bride and groom in attendance. After the honeymoon, the couple rented an apartment, and made a home for themselves. Since Jim Gibbs was a geologist, he had to make frequent trips to the oil fields. Clovis resigned from her job, and made a home for Jim, and going along on many field trips with him. They were a very happy couple. In 1932 Clovis and Jim invited Clovis' younger brother, Jack, who would be a senior in high school that fall, to come live in their home with them in Wichita Falls, to attend school in that city during senior year. He accepted the invitation. He did graduate the following May, then moved on. He has never forgotten their kindness, and has always been grateful. During the rest of the 1930's, Clovis and Jim continued to live in Wichita Falls. Jim continued to become a more important staff member of the oil company for whom he worked, and the Gibbs' fortunes grew. In 1935 "the stork" delivered them a son, James Alanson Gibbs. All was well. Clovis recovered properly, and the baby was a normal specimen - handsome lad! Life continued in a 'storybook' fashion. When World War II came along, Jim accepted a high position with a major oil company at Dallas, Texas, and the family moved to Dallas. Things moved along smoothly for them for the duration. After the war was over, the Gibbs bought a couple of wooded acres in University Park, and built a large two-story house, situated on a corner of the block. Clovis had the grounds landscaped, with a large flower garden in the back yard. She had 2500 amaryllis bulbs, blooming, for example, and a dazzling array of day lilies. She spent many hours every year working and supervising the care of that garden. In the years when their son, James, was growing up, they spent many of their summer vacations camping out in the mountains, fishing, hiking and riding horseback. Jim resigned his corporate position and became a consultant; then started his own oil production business. After James went off to college, Clovis and Jim began taking trips abroad, and in the next few years, they truly became 'globe trotters'. They collected many mementos of their travels. They had a very happy life together, and seemed to get along extremely well. Unfortunately, however, Jim developed heart disease, and he died of a Coronary Thrombosis at home one afternoon in 1978 at age of 72, while Clovis was temporarily away shopping. In recent years, Clovis has sold her home, and she is living in Dallas in a wonderful managed care home that is located near her son and his wife, James and Judy; and she gets regular visits from her two adult grandsons, John and Ford Gibbs. At this writing, she seems to be happy and contented, and in good health. Jack Robinson, age 88, lives in Houston, Texas, and is active in the genealogy of the Pine Forest Minters. At the time of her death at age 98 years, Clovis was the second oldest descendant of the Pine Forest Minters. She and Jack are grandchildren of Robert Anthony (1851-1908) and Susan (Ramey)(1853-1915) Minter. High school graduation in 1925..
With niece, Susan Shiller, at family reunion in 2005.